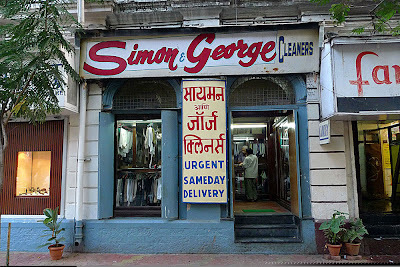 We were literally taken to the cleaners in Colaba, Bombay by what should prove to be our most expensive laundry bill in India. But it was ok, given the pricey real estate the shop occupied, and because it was, start to finish, an efficient, professional, and highly satisfactory laundering experience. Everything was carefully machine washed according to colour and fabric, beautifully ironed (even our sleeping sacks, which we insisted need not be pressed) and each article came back with a strangely touching hand-sewn tag indicating our particular batch of laundry. 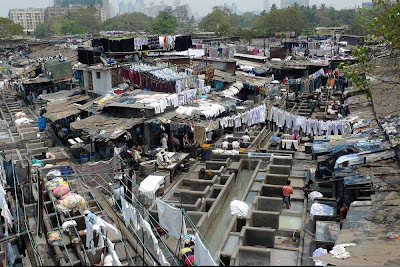 Later in the day we visited dhobi ghats, where most of Bombay gets their laundry done. 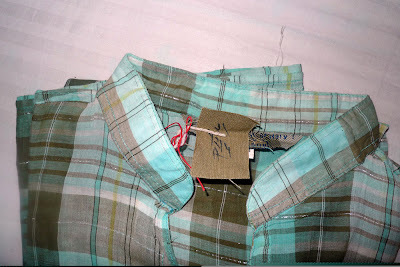 Shirts for 2 Rs instead of 30 Rs. A "12 or 13" year old girl served as an impromptu tour guide (exact birthdates not such a big deal here)- the white laundry is from the hotels, the red from the hospital, the blue from somewhere else, she told us. We should have come earlier in the morning, to see more action, she also told us. 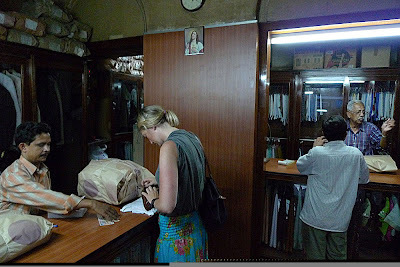 We offered her a 10 Rs note as a nominal fee for her helpful information. She refused the money and wanted a Pepsi instead. No fool, she went for the 60 Rs 2 Litre 7-Up that came with a free 7-Up can. I hope she shared. Note wrapping of laundry into parcels. 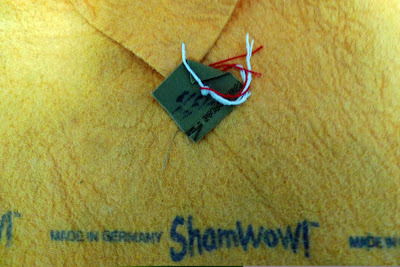 Yes, that's a genuine ShamWow. Note: ShamWow Vince just got taken down in Miami for assault on a Pro who allegedly bit his tongue when he allegedly tried to kiss her.